Xander Dawn Potential. I loved this scene!. 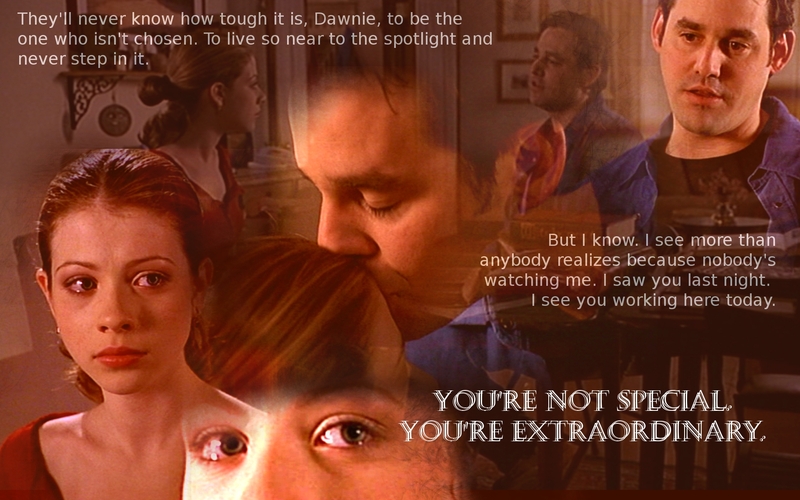 HD Wallpaper and background images in the Buffy Summers club tagged: buffy the vampire slayer xander dawn potential season 7. This Buffy Summers wallpaper contains chân dung, headshot, and closeup. There might also be anime, truyện tranh, phim hoạt hình, and manga.